Fans of the famed Durian Fiesta at Goodwood Park Hotel will be thrilled with its return from 4 March 2016 to 17 July 2016 for its thirty third years. Since 1983, the annual affair has delighted many lovers of the king of fruits with the range of creations. This year the durian fiesta features 13 meticulously handcrafted treasures in total, with 7 brand new creations. Made with the premium D24 durian, Hawaiian black sea salt is used in the luscious cake, adding a feather-light savoury touches to the creamy sweetness. 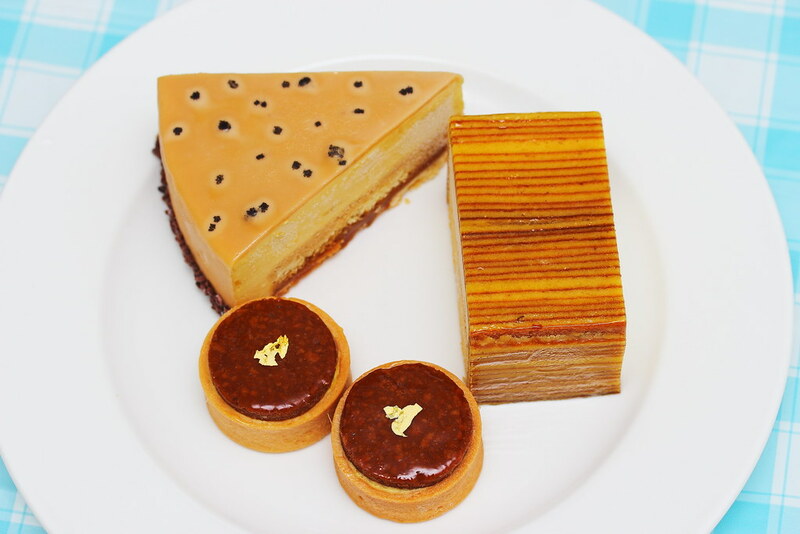 The dark dots on the top layer of the Durian Black Sea Salt Caramel Cake ($13 per slice/ $85 whole cake) are salt crystals. 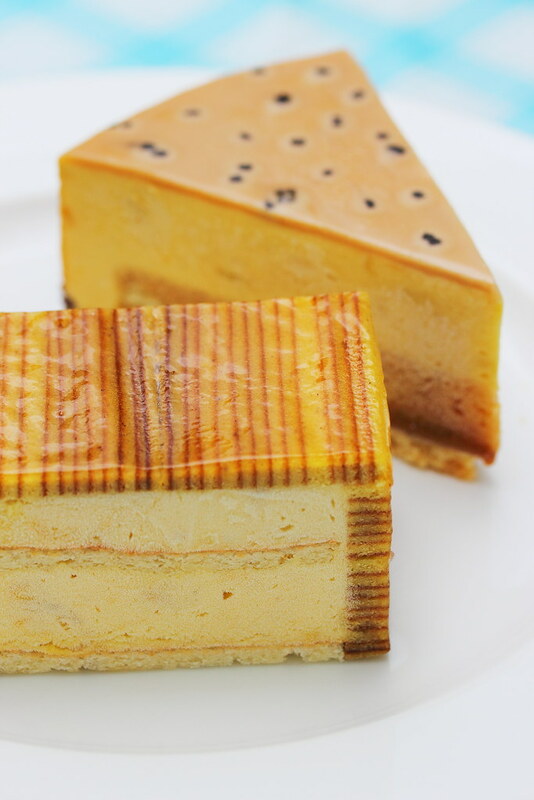 The classic layered cake is given a new lease of life in the Durian Kueh Lapis ($12 per slice/ $62 whole cake). 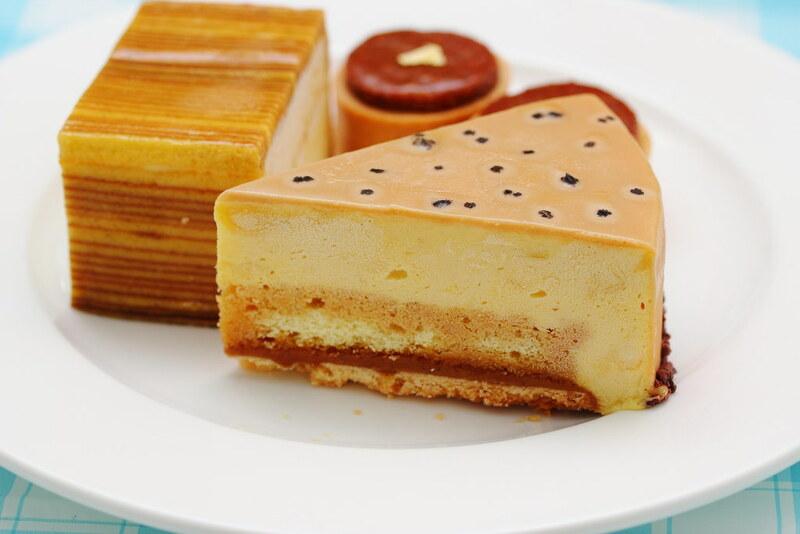 The magnificent cake is formed by layers of pulpy D24 durian mousse and almond sponge, framed the golden multi-layer cake. 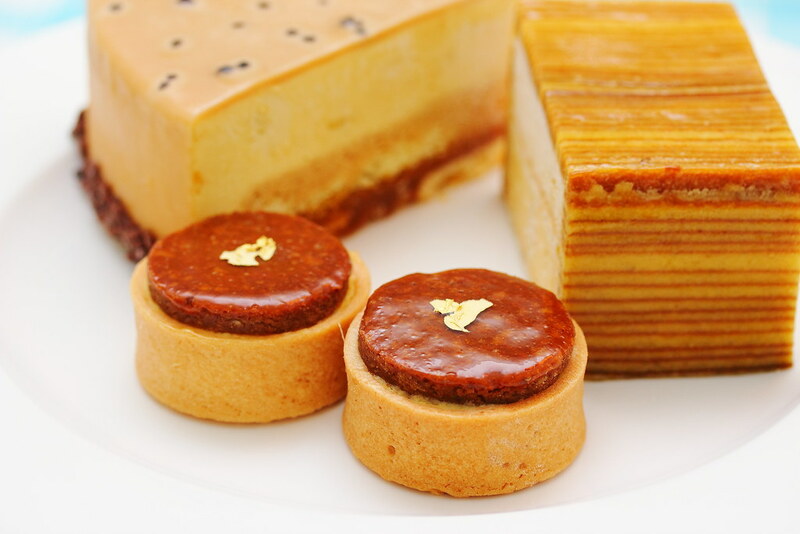 The Durian Crunchy Chocolate Hazelnut Tartlet ($43 for 6pc) is filled with a layer of D24 durian pulp and milk chocolate hazelnut mixture, finished with a delicate gold flakes to give it a touch of elegant. This is my favourite creation of this year durian fiesta, the Mini D24 Durian Ice Cream Bar ($6 per bar / $30 for a box of six assorted flavours). 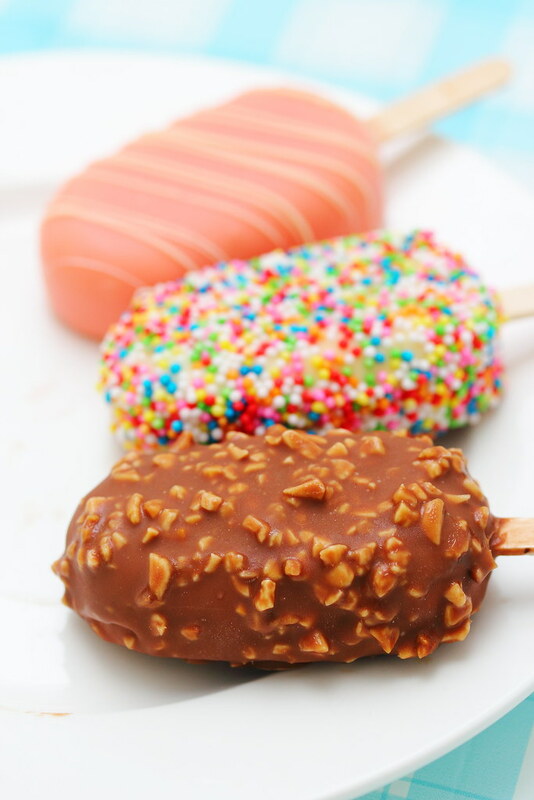 The dainty ice cream popsicles are painstakingly handmade using pure D24 durian pulp. 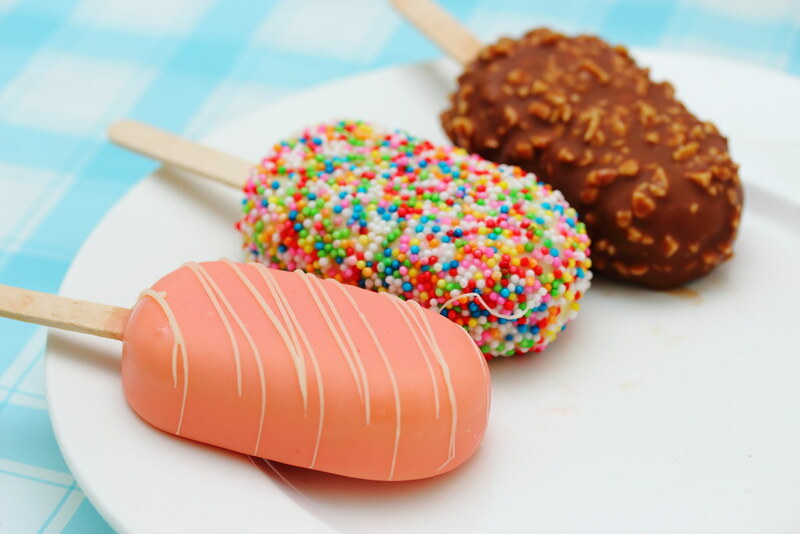 All together there are six different flavours - original, dark chocolate, white chocolate with rainbow sprinkles, milk chocolate, pink chocolate and milk chocolate with almonds. 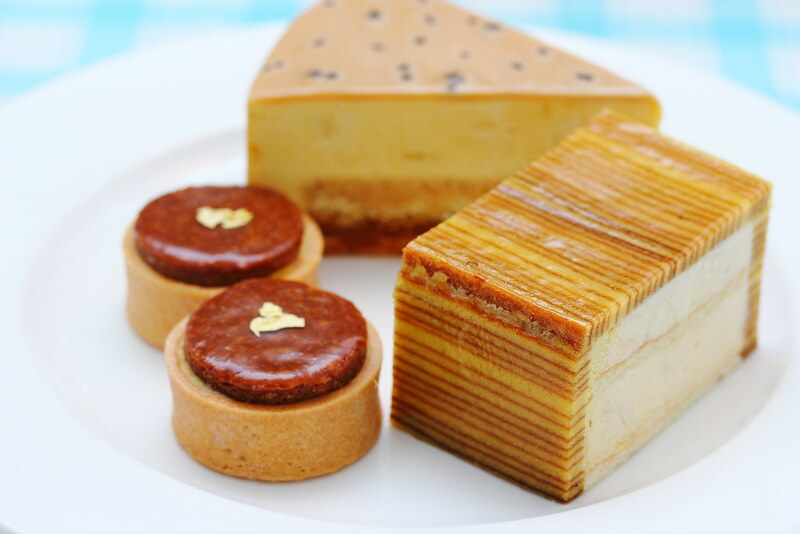 From 4 March 2016 to 17 July 2016, these luscious confections can be purchased at the hotel's Deli, along with other much loved signature items such as the Durian Puff, D24 Durian Mousse Cake, Durian Crepe and D24 or Mao Shan Wang Ice Cream Tubs.